The plan to build a bridge in mid-air sounds always complex, professional and even crazy. So what are more advanced and faster bridge construction methods? 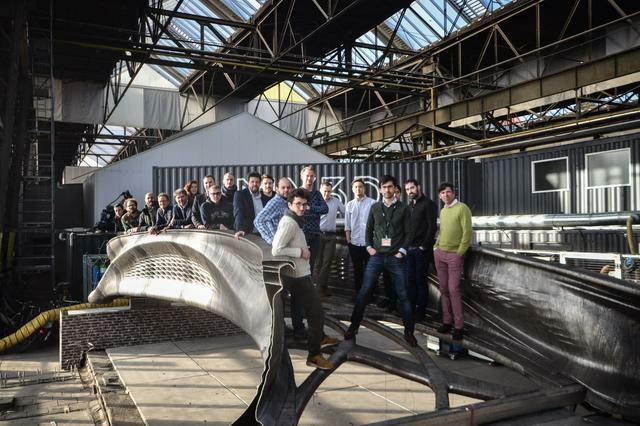 The MX3D team from Amsterdam presented a new construction plan: the world's first bridge built using 3D printing. It is made of a brand new steel material with a span of 40 feet and will be installed in De Wallen, the largest and most famous red light district in Amsterdam, early next year. Its appearance also looks completely refined, as if it were from alien technology. 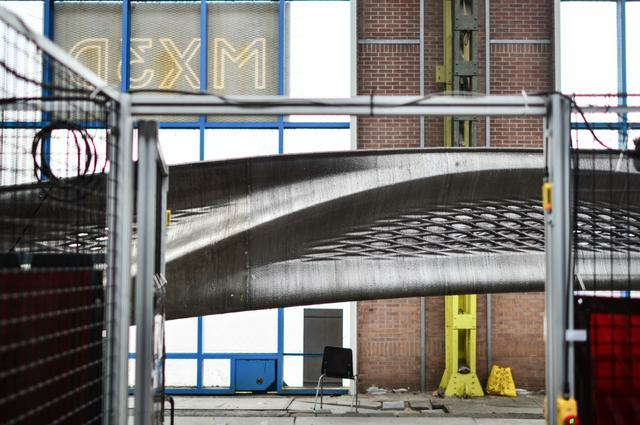 The newly printed bridge will be returned from a larger facility outside the city to the MX3D workshop in the north of Amsterdam. There, a team of designers and engineers who have been working on this project for many years will test the integrity of the bridge and add some final modifications, including a transparent coating to protect the steel's outer surface from corrosion. The final stage will include the installation of a series of smart sensors that will monitor the health of the bridge and perform a large number of measurements in real time, including the dispersion of air quality and weight so that the bridge can acquire how many people are walking on them and they are moving How fast is the speed and other data. The data acquired by the sensors will also be sent to the “digital twins” bridge model, which will help engineers understand how the bridge will perform over time and adjust future designs accordingly. Security is a key part of all these test and sensor networks. Given that this 3D printed bridge has never existed, MX3D has partnered with the city to establish unique new safety standards and test plans to ensure the long-term integrity of the bridge. The sensor network will also enable engineers to monitor and resolve security issues in a highly accurate manner, making 3D printed bridges the safest bridge in the city. It is clear that the 3D printing structure of the bridge will become a reality. 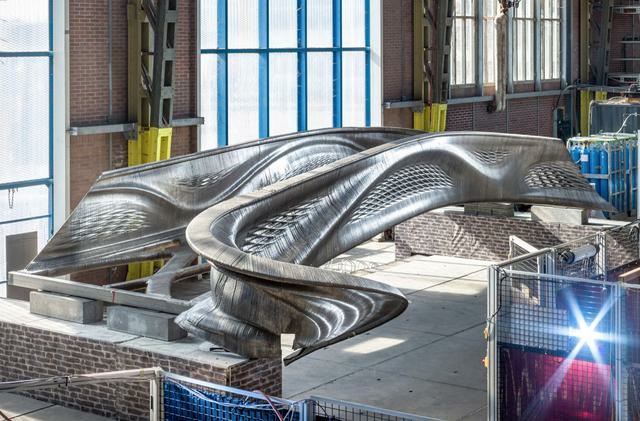 Since 2015, MX3D has shocked the world when it announced plans to build a 3D printed bridge on the canals of Amsterdam. This concept explores the possibility of using a new custom-designed 3D printing robot that can create a load-bearing structure beneath it and then slide it forward as a thermal building material. These so-called MX3D robots can build anything of the size in the open, rather than inside the machine. In theory, this technology will allow them to safely print large structures on site. In fact, the origin of 3D printed bridges is unusual. In 2004, Joris Laarman established a design laboratory in Amsterdam and began experimenting with various materials and technologies. 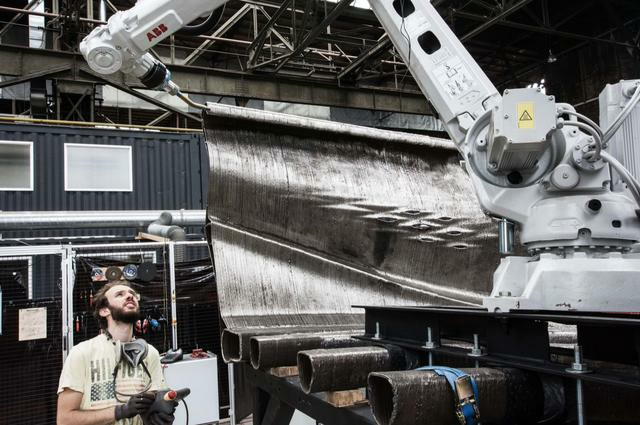 Most of Laarman's work is inspired by natural design, but the growing interest in technology has led to the development of six-axis robots that can perform large-scale, free-form 3D printing. With this technology, MX3D was created. Traditional 3D printing is done inside the machine, and this new technology can be printed in mid-air without restrictions. 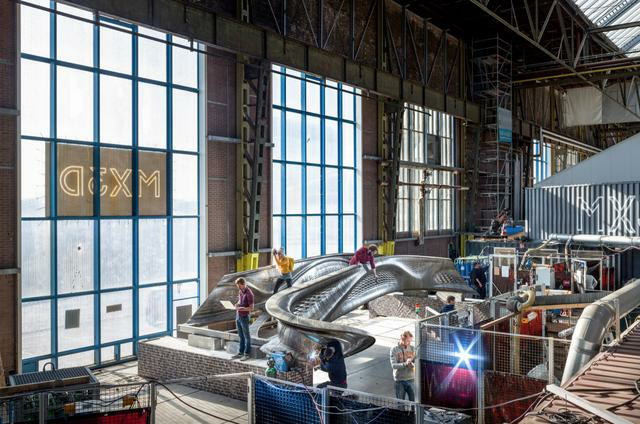 Laarman and his co-founders first experimented with the new MX3D printer and then created a sculpture called "The Dragon Bench." This artwork uses a metal combination to create a self-supporting structure that looks like a huge rusting wave. This sculpture is collected and exhibited by museums all over the world, but this work also provides proof of concept for a larger, more practical and more ambitious bridge project in the future. In 2015, Laarman's team collaborated with different companies and organizations, such as the US software company Autodesk, and demonstrated their machine's ability to create small-scale load structures. They also announced plans to print full-size bridges on the open air of the Amsterdam Canal. Amsterdam City officially hired MX3D to build a bridge to replace the existing canal bridge structure. It is reported that the project's budget is comparable to the city's payment for traditional bridges, including multiple sponsors providing additional financial support. However, plans for implementing aerial 3D printed bridges on the canal site have changed. After more consideration and testing, the team decided to move the 3D printing process into a large studio space where they could better control the environment and avoid the impact of live pedestrians. Bridge designers have also changed the blueprint. Instead of pursuing a form that looks more like a skeletal structure, they have chosen a fabric that looks like two pieces of steel that are 3D printed. 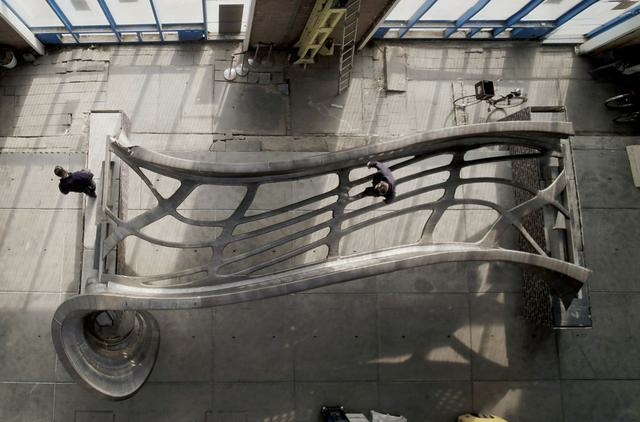 Now, 3D printed bridge structures look more sci-fi and full of alien technology. What is unique about this bridge is that it provides us with a clue as to the remarkable possibilities of the technology that created this bridge. 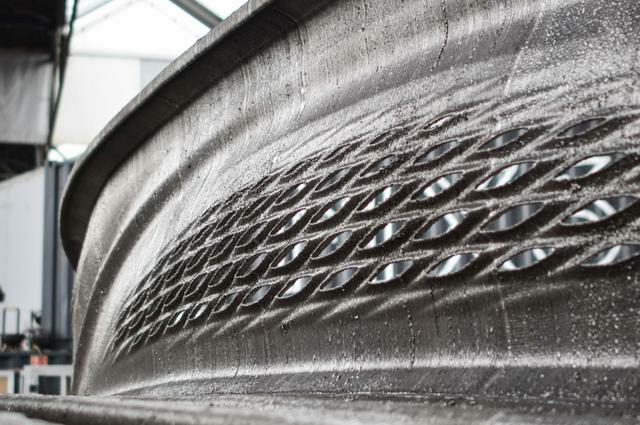 MX3D also hopes to use this new process of 3D printed steel for commercial purposes. In the maritime, aeronautical and commercial construction industries, it is often necessary to create a unique structure, and these components need only be built and used once. Therefore, the 3D printing feature can quickly build and customize these components at a very low cost. Moreover, thanks to 3D modeling software, their weight can be greatly reduced. Can you imagine what would happen if the MX3D could completely release its mobile 3D printing robot team? In the minds of engineers, these robots can build buildings on construction sites and create completed buildings on construction sites and organic shapes that are unlikely to use traditional methods. The lighter components will also allow the building to change into a variety of new forms, even as we might not have imagined. But first we must start from this bridge. 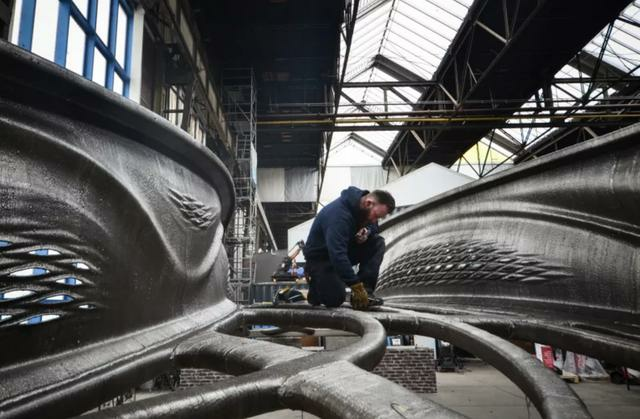 The new 3D Printed Bridge was commissioned by the City of Amsterdam and it will span across an alley in the Red Light District across the Astoglu Canal. There is a temporary bridge here. It is not difficult to see how this new structural bridge constructed by MX3D will bring a huge change here. It is said that it took MX3D a year to build the bridge to its current state. The company’s engineers will complete the last few spirals on both sides of the bridge over the next six months, and will conduct a series of tests in collaboration with Arup and Royal College London. In the meantime, the city of Amsterdam will renovate the canal walls around the Achterburgwal Canal in Oudezijds in the 15th century. The final installation of this bridge will be completed after these improvements are completed.